Growing up in Hong Kong, Audrey Mok was first introduced to some of America’s most iconic characters through Cartoon Network. Now, the artist is drawing characters she watched as a kid. Last month she debuted as the new lead artist for Archie Comics' Archie series and is currently gearing up for the release of “Archie #24 – Heart of Riverdale Part 2,” which is scheduled to be released Sept. 27. 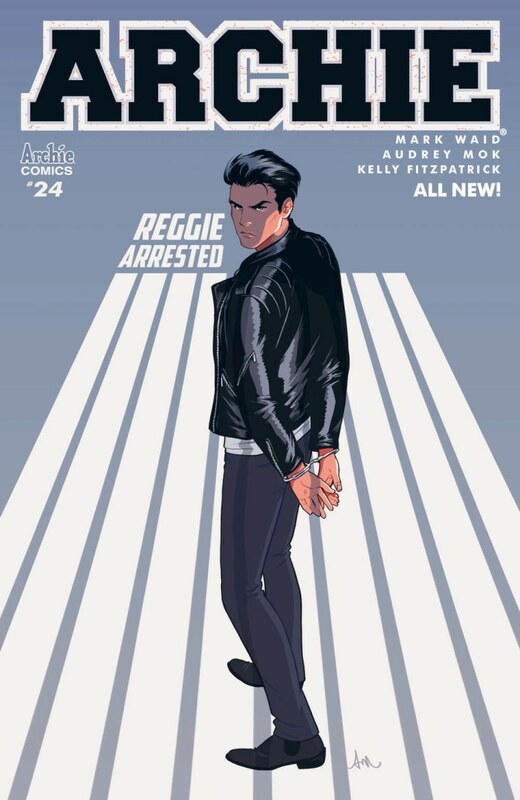 The new comic centers on Archie’s rival Reggie Mantle as he is accused of something he is innocent of. For Mok, working on the historic Archie franchise was the culmination of a lifelong interest in comics. “I grew up watching quite a lot of American cartoon shows and Disney animated movies, and started watching Japanese animated shows on TV when I was in elementary school,” Mok told NBC News. As her interest in comics grew, so did her dream of creating art of her own. “Then I began visiting the local comics shop every week,” she added. Mok also discovered the world of manga and other Japanese animation styles. That exposure led comic industry creatives to discover Mok’s work. One of those who reached out to her was “American Century” and “Star Trek” writer David Tischman, who in 2010 reached out to ask if she would be interested in working on “Heroine Chic,” a webcomic about a 20-something professional trying to navigate a “Devil Wears Prada”-type workplace while living in a world filled with superheroes. It was Mok's big break. “I began working as a full-time comic artist,” she said. She continued drawing empowered heroines when she became the lead artist of Archie Comics’ rebooted “Josie and the Pussycats” series earlier this year. “I could remember watching the animated show when I was little, singing and dancing along when the theme song came up." Her familiarity with the characters led Mok to give special attention to how she could pay tribute to their personalities through their costumes. “Josie and the Pussycats” marked the first time Mok worked as an artist on an in-print comic book. “Marguerite [Bennett] and Cameron [DeOrdio] did an amazing job in reinventing the story, giving it a more down to earth and realistic tone but at the same time combining the fun and crazy adventures of the classic stories,” she added. In May, Archie Comics announced that Mok would become the new lead artist for "Archie." Though Mok acknowleges that the original Archie characters have received increased interest over the last year due to the popularity of the teen drama “Riverdale,” she said she has not yet watched the hit show set in the Archie universe. “But I heard the show is inspired by Twin Peaks, with a darker approach, and I'm very interested in finding out more about it,” she said. Reflecting on her career to date, Mok said she was happy that her art has enabled her to create a career that led her to one of the most iconic comics franchises. "It has been a wonderful experience to draw comics, tell stories, and produce my own little comic books," she said. "I fell in love in doing that and sharing them with fans who support my work."